His celebrity has afforded him the opportunity to support causes in which he believes, especially those related to eradicating homophobia and promoting a positive view of the LGBTQ community as it relates to Black lives. 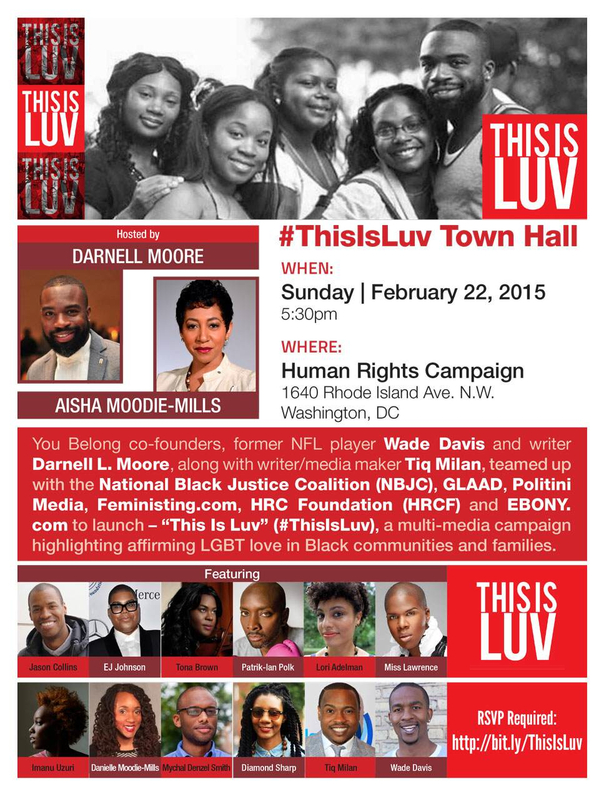 To launch the ground-breaking #ThisIsLuv campaign in support of LGBT members thriving in the Black community, Human Rights Campaign hosted a panel discussion on the subject and included an elite group of speakers, including Lawrence “Miss Lawrence” Washington, former NFL star Jason Collins, and EJ Johnson, son of NBA legend Magic Johnson. As part of a panel discussion on “Homophobia in the Black Community” for the National Action Network and moderated by film director Patrick Polk, Lawrence “Miss Lawrence” Washington shed light on the challenges LGBTQ people of color face in their own communities. “Homophobia is a learned behavior,” Lawrence says. “Until we understand that we are engaged in a never-ending fight for complete acceptance, we will continue to feel social and equal disparities." Lawrence “Miss Lawrence” Washington moderated the panel on Local Champions and the Intersection of LGBT People of Faith at the U.S. Department of Agriculture Atlanta LGBT Summit. Panelists included Lisa Borders, chair, The Coca-Cola Foundation; Vice President, Global Community Affairs at The Coca-Cola Company and Jeff Graham, Executive Director, Georgia Equality.